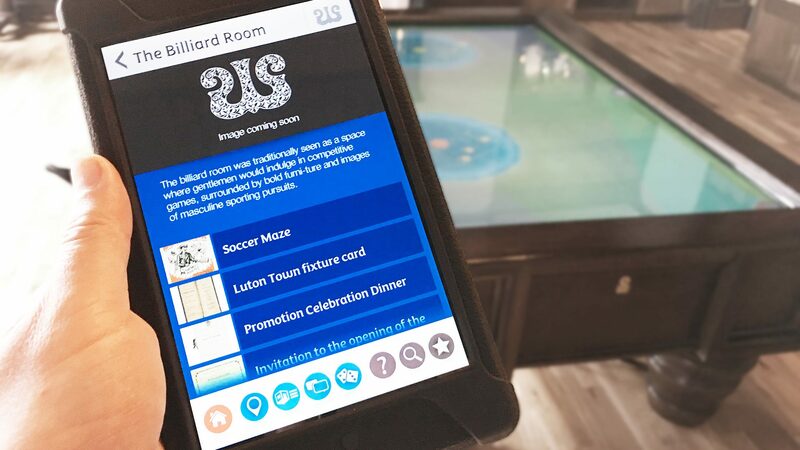 A tablet tour is an imaginative and flexible way for visitors to explore Wardown House and to access further detailed information about the rooms and the objects on display. 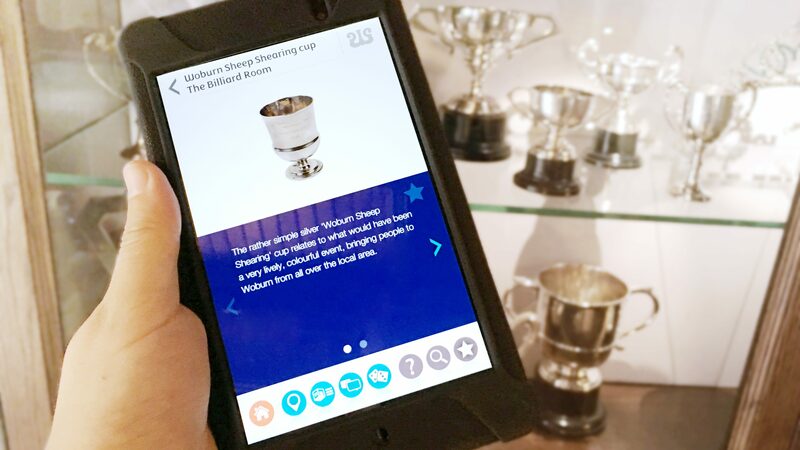 We worked with Imagemakers to create the tablet tour, a flexible way for visitors to explore Wardown House and to access further detailed information about the rooms and the objects on display. As there is no physical interpretation for the objects it has been essential that they are easy to identify within the app. It uses iBeacon functionality in each room to trigger the tour to open content specifically relevant to that room. There are trails throughout the house using NFC technology to follow a quiz-based route and maps of the building that visitors can follow. They can use the search facility to identify objects that relate to pre-set themes and use these to explore the house. A map view shows an overhead plan of the museum identifying each room. Visitors can pan and zoom the plan using touch gestures and switch between the various floors of the museum. When they select a room they are taken to the related room page. Alternatively, visitors can select a room using the room list. Each room page includes an image and brief description of the room, and a list of the objects within. Visitors can even create their own tour curating their favourite objects noting them on the app as they move around the house. They can then post their curated tour to the Wardown House Facebook page to share their experience of their visit. The tablet tour uses our content management system which means that it can be easily updated and added to by the client’s team.